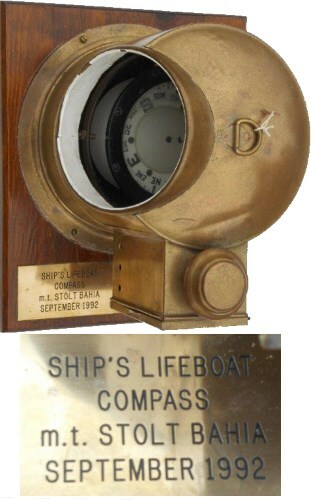 Lot 191 BRASS - "SHIPS LIFEBOAT COMPASS - M.T.STOAT BAHIA - SEPT 1992". All complete with side vessel and burner mounted on a wooden base. Full working order. Interesting item!!! !